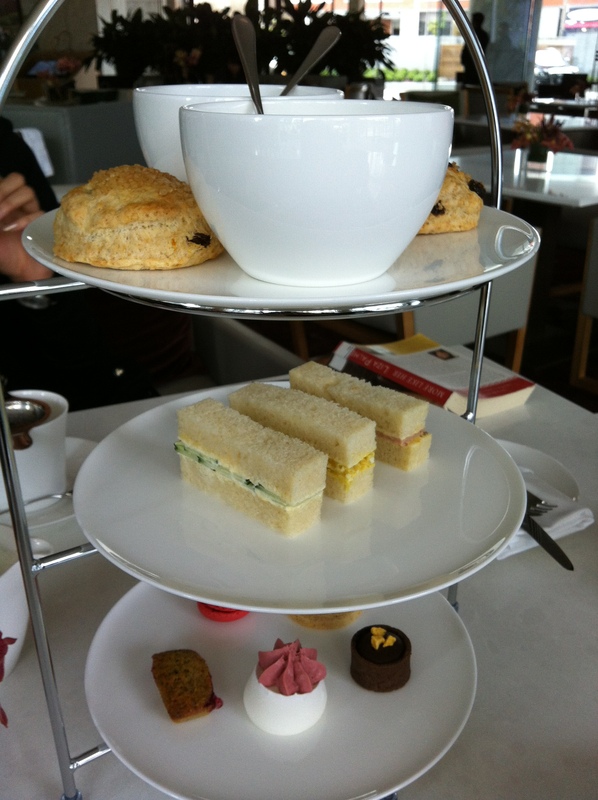 High tea where the tea is not included in the price – really? A friend of mine has been visiting Toronto for the past couple weeks and mentioned that she felt like going for high tea while we were walking along Queen street. Aware that the Shangri-La recently opened in Toronto, I’ve been meaning to check it out (well, I’ve been meaning to try Momofuku but I could try their high tea as well). I called the hotel to see if they actually served high tea (they did – from 2-5pm) and the cost is $36/person which is pretty standard. When my friend arrived the hotel we were welcomed and informed that high tea took place in the modern/open hotel lobby seating. 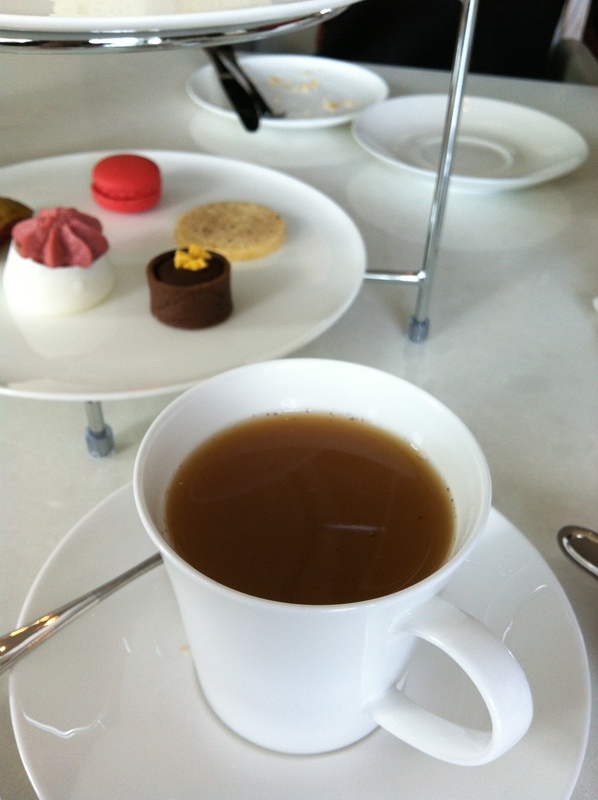 Interesting…I have to admit that having high tea in a wide open area (i.e. hotel lobby felt a little strange and bizarre). It’s not all that classy and it felt overly casual. But the worst was yet to come. We were presented with the hotel lobby menu which listed high tea at $36/person but there was also a separate tea menu where you had to buy the tea separately (at $15/pot). My friend and I decided to play it safe and place one order for high tea (they let us share the tiered tray which was very nice of them). Having said that, I’m glad we only placed on order. The tray looked so sad and pitiful. I have never had such a sad excuse for high tea before. They say that a photo is worth a thousand words but this one left us speechless. Worst of all, the tea leaves of the English Breakfast tea that we ordered would fall through the tea strainer leaving me with floating bits of tea leaves in my cup (and a dredge of them at the bottom when it was all done). Not a good indication as far as tea quality goes (high quality teas usually have the whole leaves so you won’t get crushed pieces). My advice: Save your money and go have high tea at the Windsor Arms (where the tea is included in the price). ← Birthday dinner at Ruby Watch Co.
Wow. That is pathetic. Definitely prefer the Windsor Arms.